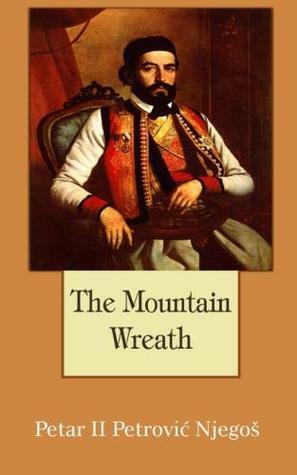 For the second instalment of my Banned Books Week reading list, I am reviewing The Mountain Wreath by Petar II Petrović-Njegoš (henceforth referred to as Petar because I don't want to keep copy-pasting that family name forever). This is a fairly intense oeuvre, writing an epic in verse in the form of a play, combining three major literary modes. Old Petar did not half-arse anything, clearly. Petar, as you might have made out from the name, was royalty. Prince-Bishop of Montenegro, in fact. And this particular epic focuses on the attempts of his ancestor Metropolitan Danilo I Petrović-Njegoš (oh, for crying out loud!) to bring peace to the region's warring tribes, written in the form of fictitious episodes that provided a picture of the wider setting in addition to relating their own smaller tales. As you can imagine, this came with some bias and fairly strong political views embedded in the tale, with various historians and politicians looking to appropriate aspects of the epic for their own purposes. With more than a bit of Islamophobia and scope for other contentious views, some have even linked this work to ethnic cleansing and tyrannicide. Needless to say, this is a controversial work, but not one without great literary merit. There is no shying away from either aspect, really. Starting as a poetic vision it develops into a political-historical drama that expands into a wreath of epic depictions of Montenegrin life, including feasts, gatherings, customs, beliefs, and the struggle to survive the Ottoman oppression. With a strong philosophical basis in its 2819 verses The Mountain Wreath depicts three distinct, opposing civilizations: the heroic-patriarchal classic Montenegro, the oriental-Islamic Ottoman Empire and the west-European Venetian civilization. The poem is constructed around a single, allegedly historical event, that took place on a particular Christmas Day in the early 1700s, during Metropolitan Danilo's rule: the mass execution of Montenegrins who had converted to Islam, known as "The Inquisition of the Turkicized" (Истрага Потурица or Istraga Poturica). It is a massive work, and a lot to get through. The detail and skill with which the epic was written paint a vivid picture of life in that time and place, and it seems likely that the setting reflected Petar's time as much as it did Danilo's. It is a magnificent work, and on literary merit alone it is truly one of the great epics. However, there is much that is problematic with the politics of the piece. In truth, it is written with the perspective of that period, and one has to admit that Petar brought more balance to the manner in which it was portrayed than most of that time would have accepted personally (including Petar, to be honest). This is possibly why people of various political ideologies have attempted to utilise this work in their own campaigns, but at the end of the day there is much in here that should not influence modern thought in a world we'd all like to believe has progressed since 1847. Alas, this is not the case, and the hateful ones are more than okay with continuing to take the wrong lessons from such works. Overall, I'd say this is worth a read. It is problematic in its ideological basis, but it is a grand work and deserves to be read for literary merit alone. Beyond that, it's also worth reading to get a better understanding of the beliefs, and to have a healthy debate about what's involved.